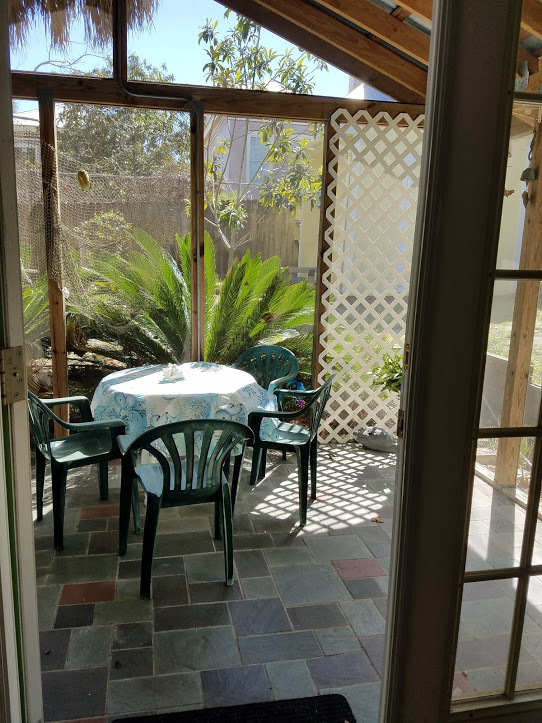 Melllow Yellow Vacation Rental is located on Fifth Street in Cedar Key. Our two bedroom, two bath home is complete with a front porch and a private screened back porch as well. Everything you need is provided to make your stay enjoyable including a dishwasher and complete kitchen. Plus you have a washer and dryer as well. All linens are also provided. We allow a maximum of four guests at Mellow Yellow. All of the restaurants and shops and waterfront are just a short walk away. Ask for Mellow Yellow when you call for reservations. Call us at 877-832-9161 or fill in the contact form below. Mellow Yellow Contact Form. Fill it in and "send it". We'll answer promptly. Promise.